It’s a DVD and Blu-Ray bounty this week as one of the year’s biggest hits (Fast Five) comes home and one of the greatest films of the 1990s (Pulp Fiction) finally lands on Blu-Ray. Fast Five: Five Five brought the entire franchise’s cast back and added Dwayne Johnson for what was undoubtedly the best of the series. The gang heads to Rio to attempt a heist with a $100 million payoff. Incredible action and the powerful repartee between Johnson and star Vin Diesel makes this Fast film electric. 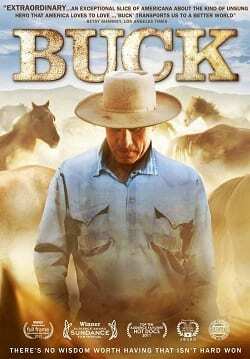 Buck: A documentary that not only captures Dan Brannaman’s horse trainer’s impeccable methods, but also how those lessons transfer to life, is a joy to witness. The film had a pretty successful run in theaters over the summer, and should enjoy a wider audience on home video. Scream 4: The fourth in the Scream franchise stars the big three from the series: David Arquette, Neve Campbell and Courteney Cox. This time out, filmmaker Wes Craven has Campbell returning home to the town where it all began, and you guessed it: Ghost Face begins to extol his wrath once again. Smart, if not oftentimes predictable, Scream 4 is a worthy addition to the franchise. African Cats: DisneyNature is achieving greatness once again with its Earth Day release of African Cats. Never has a documentary taken audiences inside the world of African Cats as DisneyNature achieves in this pic. 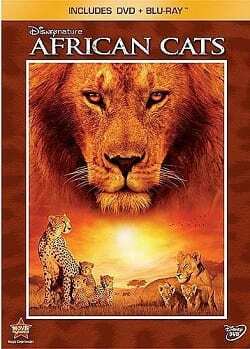 Check out the Disney site for African Cats for more on this amazing film. Pulp Fiction/Jackie Brown: Quentin Tarantino releases two of his greatest films on Blu-Ray for the first time. Check back with Movie Fanatic later for our complete review of this astounding set. The Lion King: The fall's box office champ finally comes out on Blu-Ray. The astounding transition from film to Blu-Ray shows why Disney is at the top of its game with home video. 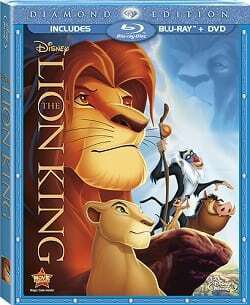 Check out the Movie Fanatic The Lion King Blu-Ray review.